If you live in Salt Lake City, you probably already know that Mike Hale Acura is the place to go for excellent Acura models, thanks to our great offers and decades of experience. But did you know that we sell a wide variety of non-Acura vehicles as well? It’s true—our extensive inventory of used and CPO cars includes the best of the best from brands like Hyundai, Ford, and Toyota, as well as a range of Honda models. Even if you’re looking for non-Acura vehicles, you’ll find a lot to love at Mike Hale Acura—an award-winning dealer near Salt Lake City. Fill out our online financial application to get pre-approved, or schedule a test drive today! WELL EQUIPPED EX-L PACKAGE***LEATHER MOONROOF AWD AND MORE***DVD PLAYER***TOW PACKAGE***OUTSTANDING CONDITION*** Recent Arrival! Odometer is 7256 miles below market average! Awards: * 2005 KBB.com 10 Best Used Cars Under $8,000 For more information, visit www.kbb.com. Kelley Blue Book is a registered trademark of Kelley Blue Book Co., Inc.
LOADED WITH EXTRAS***PERFECT CARFAX***SHOWROOM CONDITION***FEATURES INCLUDE 3.73 Rear Axle Ratio, Heated Front Seats, Anti-Spin Differential Rear Axle, Black 3-Piece Hard Top, Black Jeep Grille Badge, Chrome/Leather Wrapped Shift Knob, Class II Receiver Hitch, Connectivity Group, Deep Tint Sunscreen Windows, Freedom Panel Storage Bag, Heated Front Seats, Leather Wrapped Steering Wheel, Low Gloss Black Wrangler Decal, Mopar Black Tubular Side Steps, MOPAR Dealer Installed Tow Strap Kit, MOPAR Slush Mats, Performance Suspension, Quick Order Package 24K Willys Wheeler, Rear Passenger Assist Handles Kit, Rear Window Defroster, Rear Window Wiper/Washer, SIRIUS Satellite Radio, Tinted Rear Quarter & Liftgate Windows, Tire Pressure Monitoring Display, Uconnect Voice Command w/Bluetooth, Vehicle Information Center, Wheels: 17" x 7.5" High Gloss Black Willys, Willys Hood Decal, Willys Wheeler Grille, Willys Wheeler Package. Recent Arrival! LOADED WITH NEARLY EVERY OPTION***ORIGINAL MSRP OVER $68,000***ONLY 13,000 MILES***SHOWROOM CONDITION***FEATURES INCLUDE LTZ 4WD Duramax 6.6L V8 Turbodiesel Allison 1000 6-Speed Automatic, Jet Black Leather, 110-Volt AC Power Outlet, 4.2" Diagonal Color Display Driver Info Center, 6-Speaker Audio System, Auto-Dimming Inside Rear-View Mirror, Chevrolet Connected Access, Chevrolet w/4G LTE, Chrome Bodyside Moldings, Chrome Door Handles, Chrome Mirror Caps, Color-Keyed Carpeting Floor Covering, Deep-Tinted Glass, Digital Steering Assist, Driver & Front Passenger Vanity Mirror Visors, Dual-Zone Automatic Climate Control, Electric Rear-Window Defogger, Electronic Shift Transfer Case, EZ-Lift & Lower Tailgate, Front Halogen Fog Lamps, HD Radio, Heated Leather Wrapped Steering Wheel, Heated Power-Adjustable Outside Mirrors, Hill Descent Control, Integrated Trailer Brake Controller, Leather-Wrapped Steering Wheel, LTZ Plus Package, Manual Tilt-Wheel/Telescoping Steering Column, Navigation System, Off-Road Z71 Package, OnStar & Chevrolet Connected Services Capable, Power Sliding Rear Window w/Defogger, Power Sunroof, Power Windows w/Driver Express Up & Down, Power-Adjustable Pedals, Preferred Equipment Group 1LZ, Rear 60/40 Folding Bench Seat (Folds Up), Rear Wheelhouse Liners, Remote Keyless Entry, Remote Locking Tailgate, Remote Vehicle Starter System, Single Slot CD/MP3 Player, SiriusXM Satellite Radio, Steering Wheel Audio Controls, Trailering Equipment, Unauthorized Entry Theft-Deterrent System, Universal Home Remote, Wheels: 20" 6-Spoke Polished Aluminum and more. Odometer is 1777 miles below market average! Why Buy Non-Acura Vehicles From Mike Hale Acura? 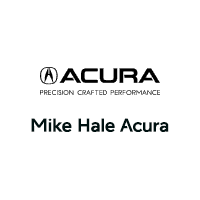 Our expertise and official Acura service department make us perfect for Acura drivers, of course, but the things that make Mike Hale Acura special aren’t brand-exclusive. Our friendly sales staff are always on hand to guide you through our inventory with a no-pressure, hassle-free experience. And we offer some great offers on used cars in Utah County, including a wide selection of models priced under $10k.